You may be great at presenting your network marketing opportunity but can your team do the same thing? If they can’t, then how will they ever succeed? That’s why it does not matter what works for in your MLM business. The only thing that matters is what duplicates. Duplication is the key to success in network marketing. It keeps the business model simple in a way that anyone can follow. If you have incredible presentation skills or online marketing skills that you learned over time, do you think that the newest distributor on your team can do that too? I ran into that exact problem many years ago and learned a good lesson about presenting my MLM business in the most duplicatable way. Being highly skills at blogging, SEO and video marketing, I was able to grow my team and gain thousands of customers. For someone just joining my MLM opportunity as a new distributor, they didn’t have those same skills and those skills were not duplicable. If your team cannot easily replicate the skills required to present their network marketing opportunity, how will they ever succeed? Instead, teach your new distributors a few simple things that anyone can do over and over again. Forget fancy schmancy stuff. A new distributor needs the simplest task possible in order to succeed. That’s the secret to success in network marketing. Don’t do what works. Do what duplicates! Then you can get many people all doing a few simple tasks over and over! 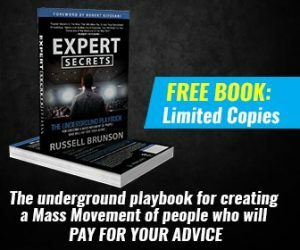 If you want to learn more about MLM recruiting and duplication, click here to access a FREE training. I love using 3rd party tools to do the presenting for me. 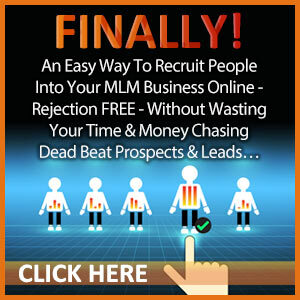 Third party tools are resources provided by your MLM company. Usually they are videos, products sample, brochures, webinars, or other information that you did not create. What is great about 3rd party tools is that anyone can send a link or hand a resource to a prospect. A new distributor doesn’t know much about the business and may not have skills. 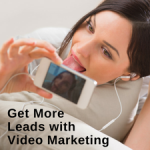 But, they can hand a DVD or brochure to a prospect or send them a link to a webinar. Third party tools are highly duplicatable and they do the presenting for you. Anyone can do it! Network marketing is a numbers game. It’s important to get your MLM opportunity in front of as many people as possible. It’s not about convincing people to join your business. It’s about presenting your business to as many people as possible and then sorting the ones who are ready to join. 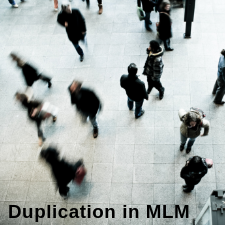 This type of MLM duplication goes a long way in growing your team of distributors. A few years ago, some distributors on my team made a huge mistake. They were talking to the same 10 or so people many times over. Perhaps that was their comfort zone, who knows. The point is that it took the same amount of time that it would have taken if they had presented to a hundred people one time. 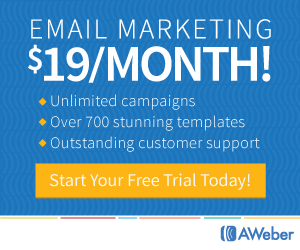 If you sign up one out of ten prospects, talking to more people will get you more signups. If you talk to the same ten people over and over, well you get the point. Have you ever met that person that blabs on and on about how great their business and products are? Goodness, it makes me just want to run away! The less you say, the better off you are. This is another form of duplication in network marketing. Teach your new distributors to ask questions of prospects. Be interested instead of interesting. Find out what their needs are and how your business or products can help them. Stop blabbing about yourself. You are not there to impress but to educate. You do that by sharing resources to help a person through the recruiting process. These 3 MLM duplication tips will help you get off to a great start with presenting your opportunity to others. 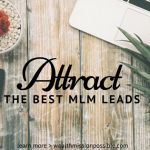 If you want even more great tips about MLM recruiting and duplication, click here to access a FREE training.